Decadent adornments make every shoe look luxurious! 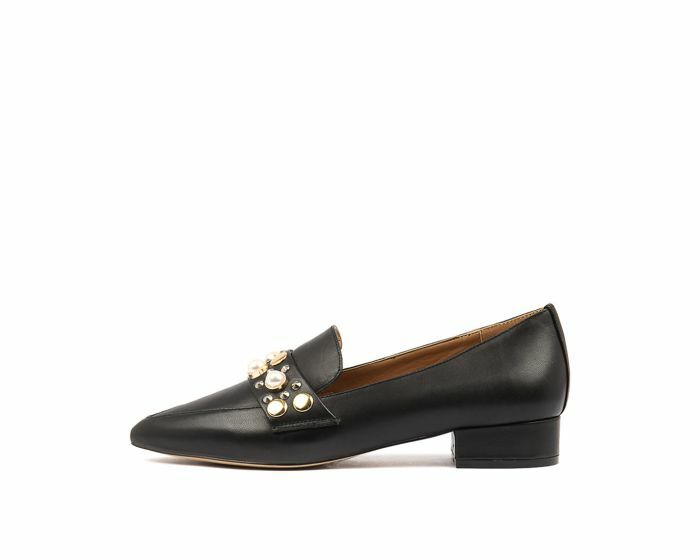 This beautiful loafer is rendered in a soft sheen leather and has pearl and stud accents across the strap that give it a decorative flair. A lovely choice if you want to amp up your casual wardrobe, this piece will also step your corporate wear up a notch!